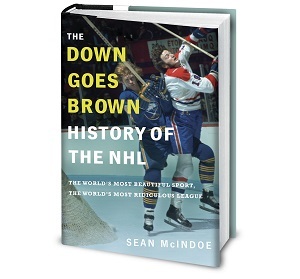 Down Goes Brown: The Leafs season has been reasonably good. Here's how it will all go to hell. The Leafs season has been reasonably good. Here's how it will all go to hell. The Maple Leafs are on track to make a run at the playoffs, at least a year ahead of their rebuild’s expected schedule. They boast three of the league’s top rookies, and Auston Matthews in particular is already drawing comparisons to some of the game’s greatest franchise players. The team plays exciting, high-scoring hockey. And the underlying numbers suggest that they may be even better than their record indicates. All of this in a year that didn’t carry much in the way of expectations. This was supposed to be the fun season, and it’s been more fun than just about anyone could have imagined. For the first time in at least a decade, there’s a real air of excitement and optimism around the Maple Leafs. I mean, the season has been great, but we’re still Leaf fans, right? We haven’t completely lost out ability to see the glass as half empty — and also cracked and leaking and full of poison. So today, let’s look at some of the ways this dream season could go off the rails in the second half, and how likely they are to come to pass. Consider it a chance to exercise those pessimism muscles, if only to keep our karma levels in check. We all remember Andersen’s first month in Toronto, where he struggled badly and had everyone wondering if the Leafs had swung and missed on their biggest offseason trade. That turned out to be a false alarm, and Andersen settled in and played well for the next two months. But Andersen hasn’t been all that good lately, posting a .902 save percentage in January. 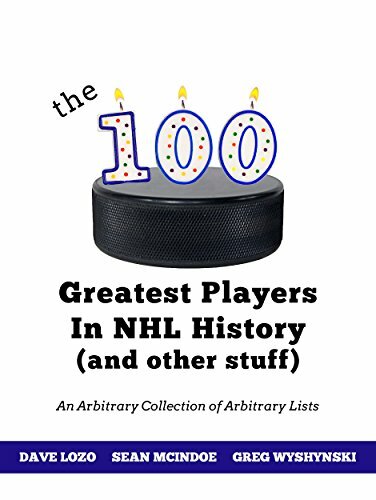 And it’s worth remembering that with just 166 NHL games under his belt, we’re still not exactly sure what he is. Mike Babcock hasn’t had much faith in his backups all year, and Andersen is going to blow by his career-high of 54 starts. If he falters down the stretch, he could take the Leafs’ playoff hopes with him. How scared should you be? : Moderately. The Leafs would be in trouble if their starter struggled, but you could say that for most teams. Andersen’s October taught us not to overreact to a few bad games. Then again, it also reminded us that sometimes even a good goalie can have an awful month, and another one from Andersen would torpedo the Leafs. The Leafs have been remarkably lucky with injuries so far; not counting the long-term cases like Joffrey Lupul and Nathan Horton, they’d been healthy almost all year until Morgan Rielly went down. The good news is that this Leafs team isn’t one that’s built around one or two key players who you absolutely couldn’t afford to lose, at least not yet. Losing Andersen would be massive, but again, you could say that for almost every team. An injury to Matthews would be a big deal, but there’s enough forward depth on the team and in the system that the Leafs might survive. If anything, the team’s performance during Rielly’s absence has shown that he may be the most important of the bunch. How scared should you be? : Injuries happen to every team, and they’ll probably happen to the Leafs before the end of the season. It’s going to be a question of who, and how long.